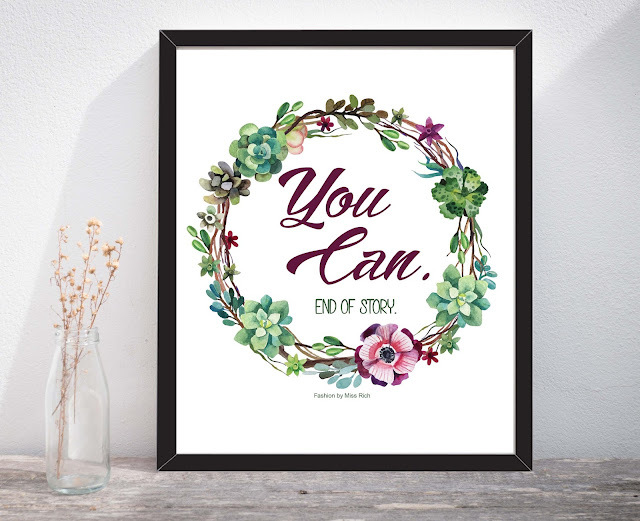 You can, end of story! One of the most important things you need to be successful is to believe in your ability, believe in yourself. It’s easier said than done, I know. This free printable is a quote to remind you and inspire you, That YOU CAN!